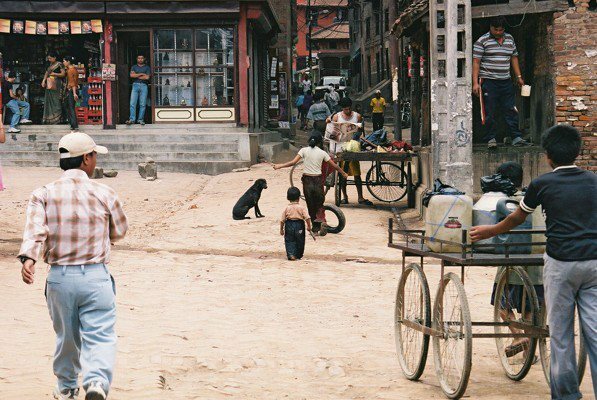 I took this photo in Nepal, the children playing with tyres on the uneven road still moves me. If you’re inspired by the photo write a few words, a poem, or a story and I will post them with my next writespiration. You can see his Haiku below and I also recommend visiting his fantastic blog. It snapped; the beast froze. A predator or a prey? Next Rachel posted a Haiku too. Next Charli Mills posted a flash piece. Syd sat up in bed. That sound? Again. Like a twig snapping in the woods. She grabbed her fuzzy plaid robe and slid each foot into frayed slippers. Downstairs she felt the coolness of the night. The front door was open and another twig snapped. Her father was sitting on the front porch in his work clothes; his legs swung over the planks. A branch that had fallen from the backyard pine earlier that spring was draped over his lap. Snap. He broke off a smaller limb. Snap. Snap. He broke it in half and half again. “I know, Dad.” Syd had returned home after college to figure out what to do next. Her Dad worked graveyards at the machining plant. A good job to have in the hard times of a small town. Thanks for participating though Geoff really makes my day ? I think that’s the most depressing Haiku I’ve ever written. 🙁 However, the moment I looked at the picture, I instantly saw the dog and imagined him looking for something. Oh my gosh I actually thought I might cry how beautifully awful, and wonderfully evocative. When I was there there were so many homeless strays so this haiku really took me back thank you Rachel I shall post this with next weeks ? Aw, really? That’s so sad! What a beautiful tale of childhood memories. 🙂 You really are so brilliant at flash fiction Charli. Your ability to capture an entire story in so few words amazes me. Thank you so much for participating. Well, now I am even more honoured that you are taking part 🙂 thank you so much. I haven’t heard of them, but fan fiction fascinates me, particularly since the rise of 50 shades, possibly even more popular than twilight? !